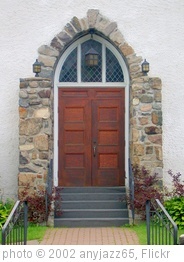 It’s the online front door of your church. More often than not, people will check you out online before they will check you out in person. Love it or hate it, it’s reality. And churches would be remiss to ignore this important fact. Many church websites are, well, awful… Uninviting. Outdated. Underutilized. They offer unnecessary information and make the important stuff difficult to find, if it’s there at all. Your website should be a reflection of your church. It should convey your DNA, culture, and values, so people get a sense of who you are from your online presence. It should be welcoming, engaging, and informative. So what are the most important elements to a church website? Don’t make people dig to locate how to find you or get in touch with you. If the pastoral team blogs, include their personal blogs and Twitter links in their bios. This gives people the opportunity to get a feel for the leaders of the church and the various ministries they lead. The more they know about a leader, the more connected they will feel. A site that isn’t maintained with up-to-date information implies stagnancy. Keep the content current and clearly visible on the home page. This encourages repeat visitors to the site as it looks fresh and updated each time they come. Because your site provides people with their first impression of your church, you want to be sure it visually represents you well. But sometimes in an attempt to be innovative or unique, websites end up being cluttered and difficult to navigate. Don’t try to be fancy or even original. Just keep your site clean, neat, and focused. Remember that while design is important, it’s not the reason people are visiting your site. They come looking for specific information. So provide it to them, and make it easy to find while still visually appealing. When you visit a church website, what do you look for? Having the address visible on the home page (and every page) is SO key. I can't stand when I am looking at a church website and can't figure out where they are... or even what state they're in. It shouldn't be that hard! Easy-to-find directions and service times are the most important things, followed closely by clear information for non-attendees on programs and events. Good thoughts, Jonathan. Church sites need to effectively serve two very different groups of people: members and people interested in learning more about the church (non-members). Both need to be able to access the information relevant to them quickly and easily. Wish we could pro-bono everyone in need! But we do offer competitive pricing that I think might surprise you. Heh, I know--I'm sure you hear it constantly, even in joking fashion as I just did. We're new to this church and the website is a mess. They know it is and plan to work on it, so I am trying not to step on toes by pushing the matter. Love this list. As someone who is currently looking for a church, I can attest to all of these facts. I want to learn as much about the church as possible before my visit - I'd rather not be surprised or more anxious than I already am when I visit. If a church doesn't have a website that talks about their beliefs, their services, and have updated information, the chances of me visiting that church dwindle dramatically. It's so true. I think a lot of churches miss that very point. I really enjoyed your article a feel inspired on how to improve or church website. I wanted to mention one thing that should probably be a must in visitor content is a page explaining what to expect when you arrive. Letting them know what the service is like, which for should be used and other things like that. Thanks for the inspiration too.